Upcoming holidays + me cleaning my house = photo sales! I’ve got a handful of matted prints that need new homes, so I’m letting them go cheap! All photographs posted below are available as 8×12 inch prints surrounded by a 12×16 inch white archival mat and foam core backing, shipped you to in a clear plastic sleeve. Cost is $35 for the first photo, $30 for each additional photo, and includes FREE shipping in the continental United States. 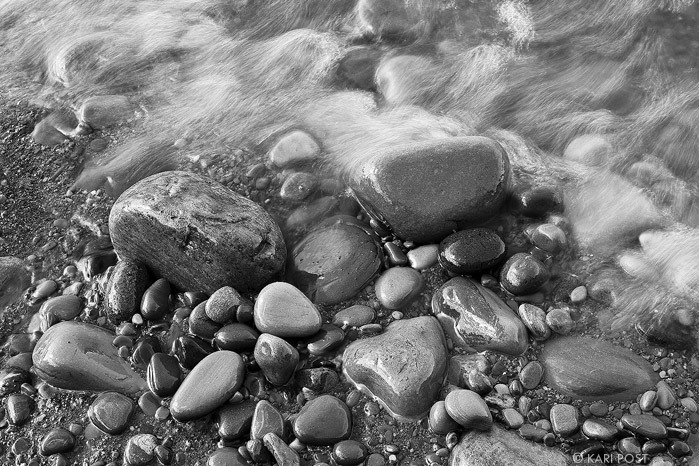 Water laps at rocks on the shoreline of Lake Ontario along the border of New York. 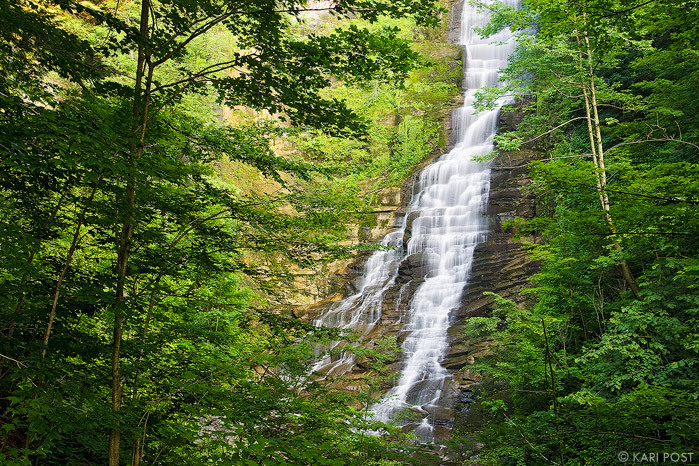 Pratt's Falls is one of many beautiful waterfalls that can be found in upstate New York. 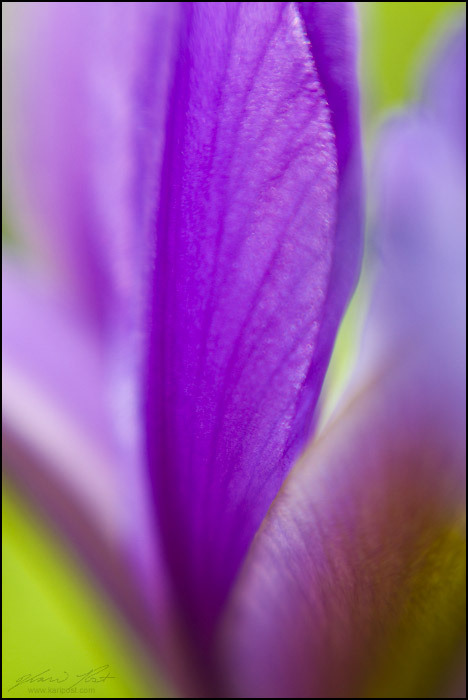 The nicest thing about photographing flower abstracts, is that I can do it in just a few minutes a day and the subjects are right outside my mom's house. 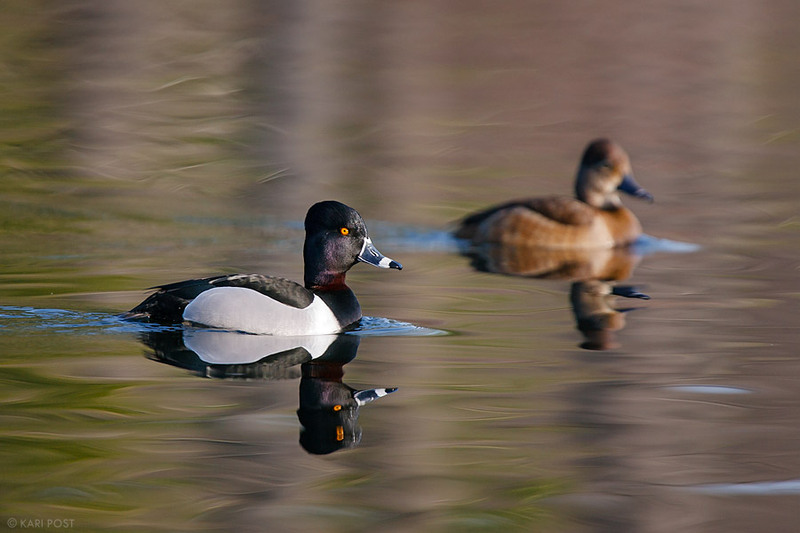 They are one of the easiest nature subjects to fit into my busy schedule. The down side is I usually only have a few weeks to work with each subject, as most flowers, like this iris, have short peak seasons. 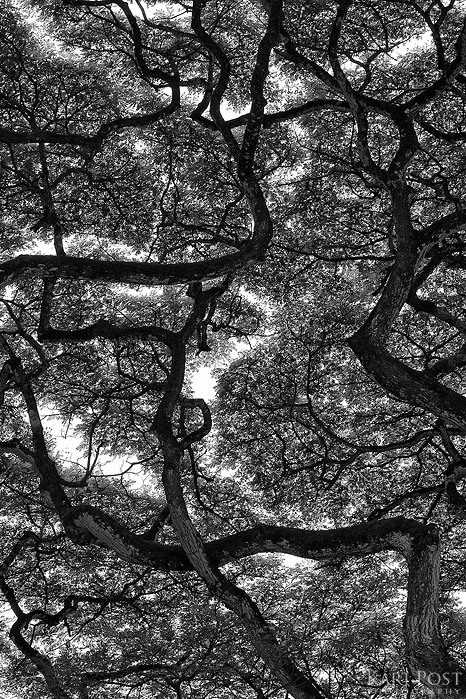 Moss covered tree branches and leaves trace delicate interwoven patterns against the sky. A view of Mount Madison from Mount Adams as the sun sets late in the afternoon. Mount Madison and Mount Adams are part of the White Mountain National Forest's Presidential Range in New Hampshire. 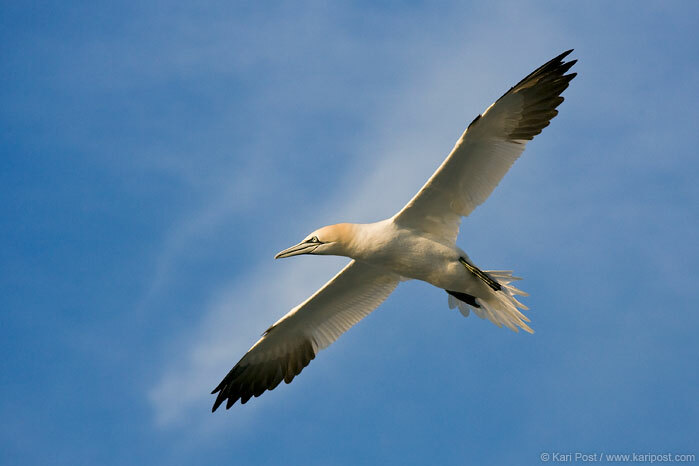 An adult northern gannet (Morus bassanus) flies in front of a cloud that perfectly halos the bird's wings. 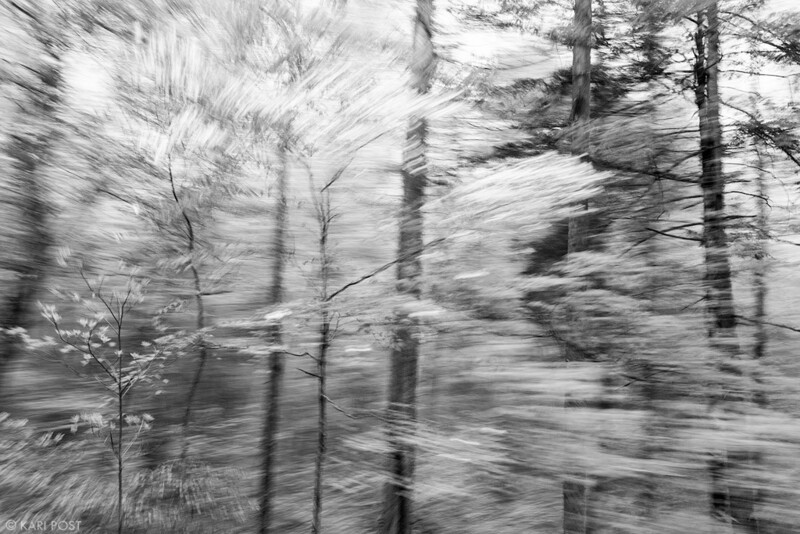 More photographs are available for sale on my website as well. Photos make a GREAT holiday gift so be sure to check them out! Posted in Photography and tagged Christmas, gifts, holiday, matted prints, nature, photography, prints, sale on October 29, 2015 November 1, 2015 by Kari. Every so often I make a pretty big print sale that gets me really excited. 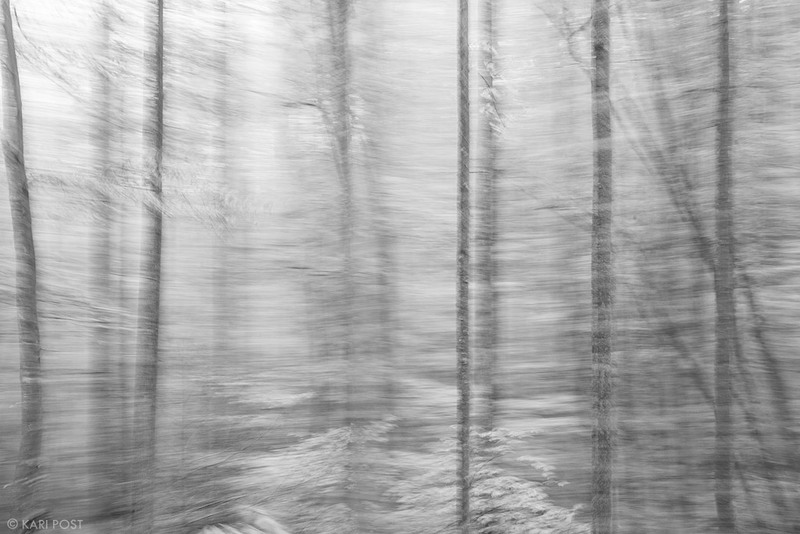 I love selling big art pieces for a few reasons: 1) it means someone really loves my work, 2) it means I get to donate to an awesome charity (5% of all sales is donated to a non-profit, usually a conservation or education organization), and 3) my photo gets to decorate and improve someone’s home (or office or other space), and I know what a difference art can make in making a space feel complete. One of my absolute favorite ways to display and hang big photos is through a medium called a canvas gallery wrap. I love canvas for large pieces because it is lightweight, making it easier to hang and a much safer option for households with kids or pets, and gallery wraps look great frameless. Eliminating the glazing (glass or acrylic) and frame can make it possible to hang even really large photographs on walls with just a hammer, level, and some very basic hardware, without additional reinforcements or structural supports. 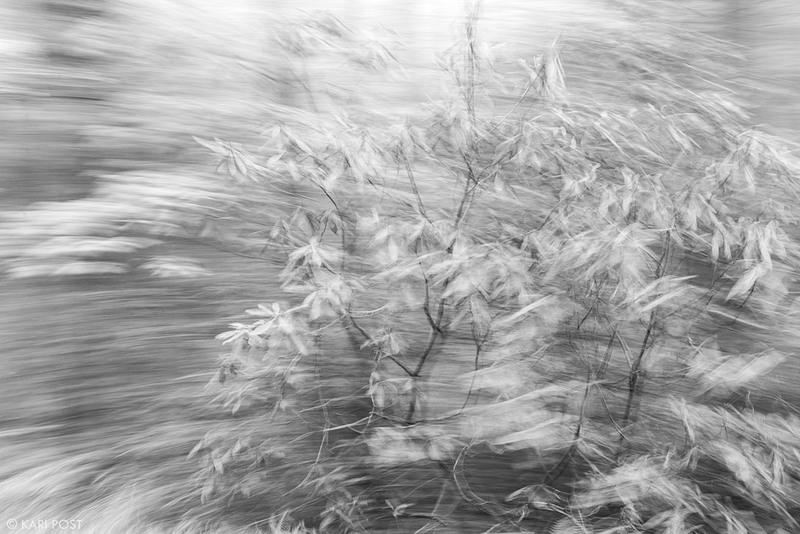 Photographic prints, on the other hand, can get really heavy when finished with matting, frame, and glazing. Just replacing the broken glass on a large piece can cost several hundred dollars, and if you’ve ever shattered wingspan of glass overhead you can understand how dangerous and unsettling that can be. 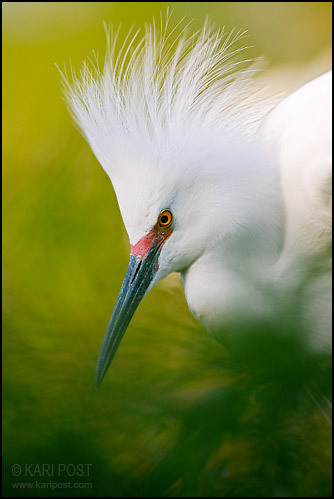 Earlier this month I sold a fairly big piece, a five foot wide canvas gallery wrap of one of my most popular Florida shots. Because the image is so large, I’m having my printer ship directly to the customer and I can’t wait to see how it turns out. I’m excited about the piece, because I have done some pretty large wraps before and I know how impressive they can be. 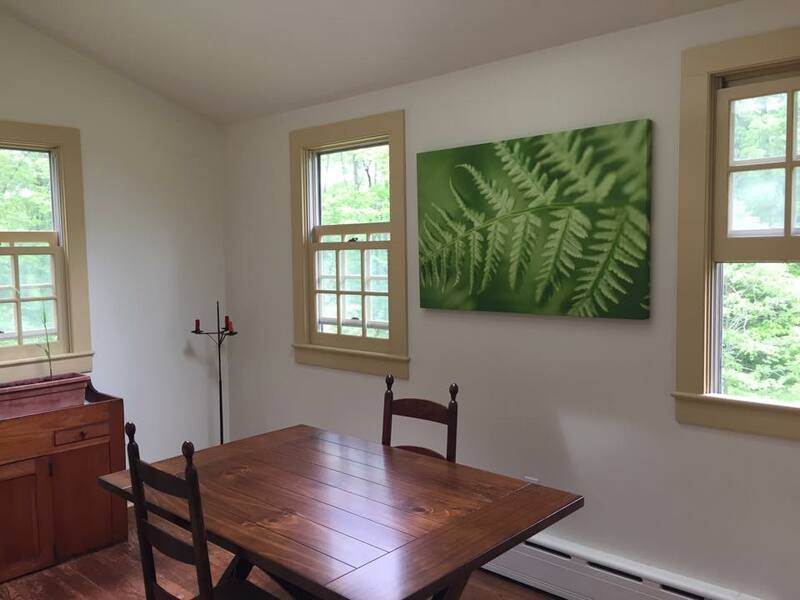 For example, I have a 2×9 foot triptych in my living room of sunset from Cadillac Mountain in Acadia, one of my favorite places, and just today my friend Molly sent me a picture of her “Glowing Fern” canvas wrap in her new living room. Molly and I became friends in grad school and her parents bought her the art piece as a graduation present. I’m thrilled with how great it looks and love that every time she looks at that photograph, from her home in Pennsylvania many miles away, it reminds her of me. So if you are thinking “big art” try a canvas gallery wrap! They are easy to care for and display, a lightweight option for those who move frequently, and a safe alternative to heavy glass for families with young children or pets. Plus the presentation looks amazing and when you are hanging big art on your walls, isn’t that the point? Posted in Photography and tagged art, big art, big photographs, canvas, canvas gallery wrap, canvas wrap, gallery wrap on May 17, 2015 by Kari. Spring is here! Well that’s the rumor anyway. It’s hard to tell because right now it’s snowing. This winter has been a brutal one. Boston recorded the most snowfall in a single season ever on record in the city’s long history. My home, which you may recall I just bought last May, became victim to a giant ice dam on my roof resulting in several thousand dollars worth of water damage. Instead of getting out to enjoy our snowy winter, I’ve spend most of it mitigating damage and digging myself out from under feet of snow. But spring is here, finally, and spring, as you may know, is my FAVORITE season. Spring just seems so hopeful with its brilliantly colored flowers, mild temperatures, longer days, sunshine, and the start of new life. Birds sing, animals come out of hiding, and suddenly everything is happy, green, and so… alive. Because of the challenging winter we are coming out of, I feel extra excited for spring to come this year. I cannot wait for the first flowers! Until then, I’ll keep working on my house and checking things off my list, so that hopefully when spring weather finally arrives, I’ll be ready and have time to go out and play! Posted in Photography on March 21, 2015 by Kari. On Wednesday, The Power of Place became a reality. After two years of filming, editing, and tinkering, the documentary about the Northern Pass and its effect on the people and places of New Hampshire finally was brought to life in front of a sold out audience at Red River Theatres in Concord, NH. To be fair, I only helped, and the documentary producer, Jerry Monkman, did a tremendous amount of work on this incredible film. While I put many hours into shooting and assisted with interviews, edits, and other aspects of production, my time was only a fraction of what was needed to pull together this project. I feel lucky to have been a part of the process and to have had the opportunity to work so closely with Jerry. Given the opportunity to do it again, I would in a heartbeat. In the film, emphasis is put on the places that would be changed forever if the Northern Pass came to life. Places like the White Mountain National Forest and Appalachian Trail would be permanently scarred and a number of state parks and private lands would be impacted as well. The story is told by the people who love these places, who live and recreate along the proposed power line route. In the film we meet people who have built their lives, their homes, their families, and their businesses around these locations. 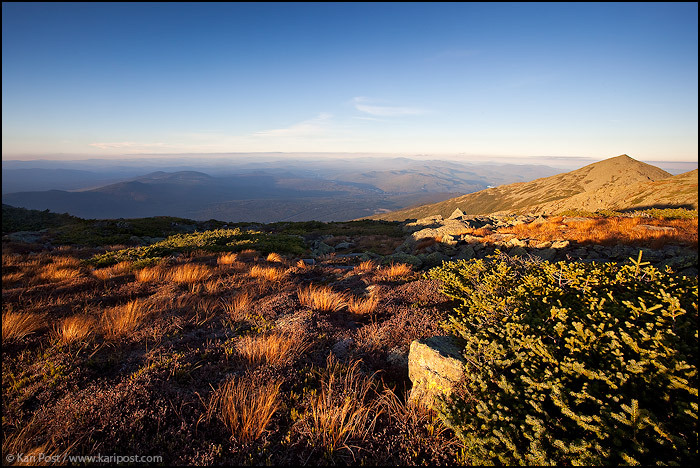 Their words, along with powerful visuals of the landscape, startling facts about the project, and testimony from experts, tells a compelling story as to why the Northern Pass is not needed and the New Hampshire landscape should be preserved. The Power of Place is a film about place, but also about people and photography too. Photography is what helps us connect to this story and the people and places represented. Without good visuals and relatable characters, the whole issue of the Northern Pass would seem distant. Photography, combined with personal stories, bring this issue to life. For me, the film and its premiere was a solid reminder of the power of place, people, and photography. I love New Hampshire, and reliving those moments spent out in the field while watching the footage we captured there on a big screen, reminded me how much so. The people, in the film and at the premiere showing their support, served as an important reminder that many kind souls and loving hearts surround me each and every day. From new faces to old friends, the people I have met along this journey, one that really started five years ago when I moved to New Hampshire, have reaffirmed my connection here. And photography of course. A film like this cannot exist without compelling visuals, and photography is really is backbone of it all. Without photography, my life would be so different. I would have traveled less, and not met as many of the wonderful people I now know and call friends. Without photography, I would not know Jerry, and this film would not exist. Without photography and this film, dozens of compelling stories would have gone unshared. Wednesday night was Jerry’s night, and it truly deserved to be. He has worked so hard and overcome so much to bring The Power of Place to life. But I think all of us who had something to do with the film shared in the limelight in our own way. Jerry ran the show, and his years of hard work were finally realized. Jerry’s family, always incredibly supportive of him and his work, could not have been more proud I am sure. For those featured in the film, it had to have been powerful to hear their own voice and get to share their stories with a greater audience. Those curious about the Northern Pass probably found the film enlightening, and maybe even felt compelled to action and inspired because of it. Fellow photographers and filmmakers in the audience likely enjoyed seeing the success of one of their peers and excited about the depth and potential of a project completed in their own backyard. As for me, I felt happy. Watching The Power of Place on the big screen was for me a dream realized and reaffirmed. 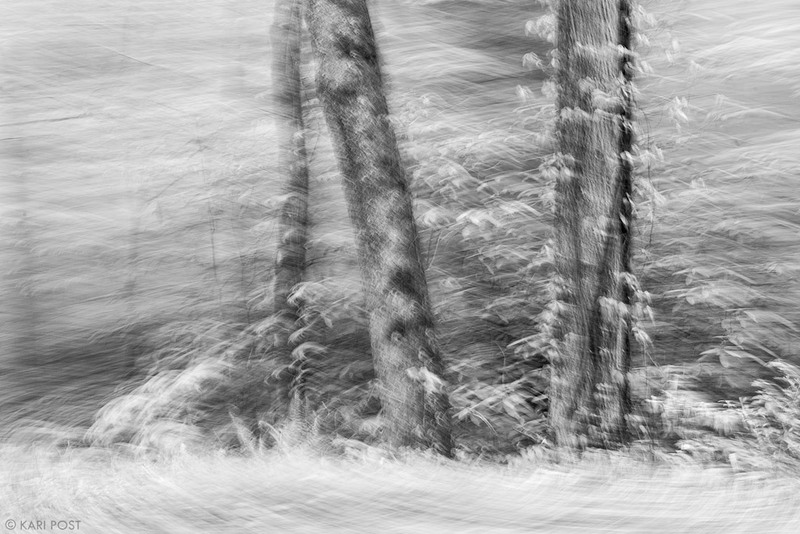 I felt connected to New Hampshire’s landscape and people, passionate about photography and the environment in a way I hadn’t felt in a while, and comforted to be surrounded by a community and culture where I feel like I belong. The Power of Place was truly powerful in ways I didn’t know until I saw the premiere, and I’m thankful for being a part of it. 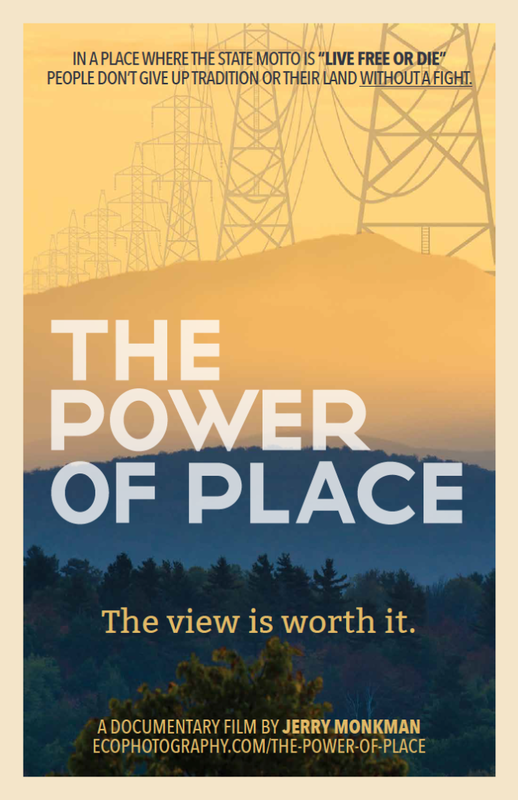 Note: You can learn more about The Power of Place by visiting the website where you can watch the trailer, purchase a DVD or digital download of the film, and view a list of upcoming screenings. Also check out our page on Facebook. Posted in Photography and tagged documentary, environment, film, Northern Pass, premier, premiere, The Power of Place, video on March 13, 2015 March 14, 2015 by Kari.